Situation: The team at Volunteering WA was under pressure. 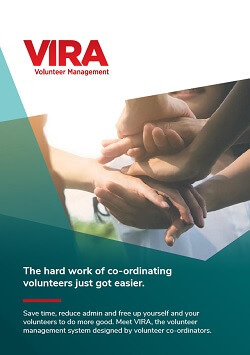 With an industry conference fast approaching, they needed a new website and supporting marketing materials to launch their VIRA volunteer co-ordination software product – an all-new solution designed specifically for Australia’s charity and not-for-profit sector. Deliverables: Our good friends at marketing and branding agency Key2Creative asked our copywriters to help develop content for an interim product website that would bring the features and benefits of VIRA to life for prospective customers. 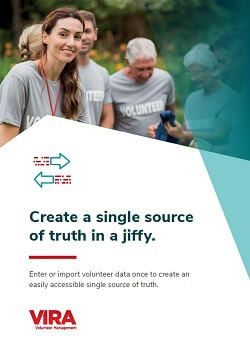 Result: While time and the budget were tight, we threw ourselves into the website copywriting challenge, creating some pithy value-focused web content that we then re-purposed for marketing materials, including posters and a brochure. Kudos to Alan and the team at Key2. Check out our website copywriting. Take a look at the posters. Take a closer look at some of our other website copywriting projects, or find out how we can help you turn bland features into inspiring value propositions. Contact our freelance copywriting team for an informal chat.